LANG - Assorted Boxed Note Cards -"Great Outdoors" Artwork by Sam Timm - 12 Cards and Envelopes - 5.25" x 4"
Send two varieties of LANG artwork with our Assorted Boxed Note Cards! 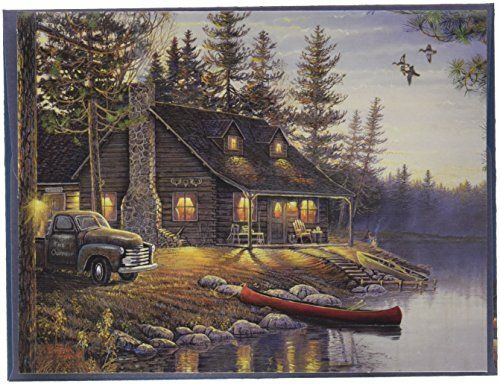 Printed on high quality linen embossed paper, the Great Outdoors Assorted Note Cards set contains two variations of artwork: a luminous waterfront cabin in the woods and majestic deer by a lake and cabin. With matching, full designed envelopes, each card offers a unique way to send a greeting or pass along a message to a loved one!